As nail art and soak-off gels are becoming more trendy these days, Chris Mans, an educator for Bio Sculpture Gel, has developed a technique to create 3-D art with soak-off gel only — using no glue or acrylic. “All you need is a flexible gel and a less-flexible gel like Bio Sculpture Clear Gel (flexible) and S-Gel (less flexible),” says Mans. 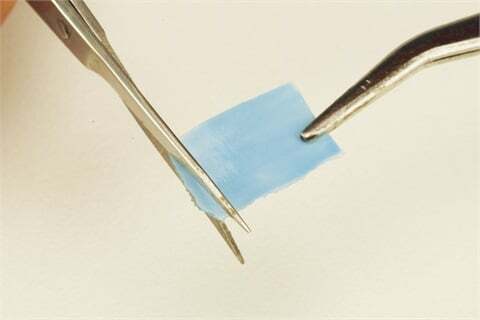 By cutting and folding the gel sheet this technique can be used to create endless pieces of art that can be adhered to a nail. 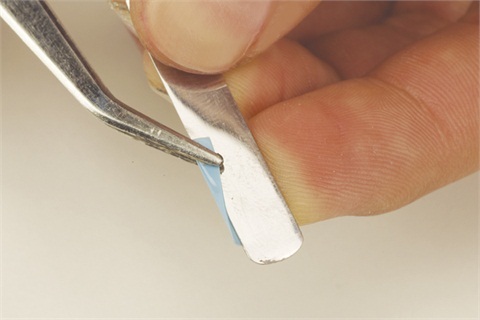 Because the gel sheets are semi-flexible, the gel won’t break or crack, it will simply bend when it is bumped. 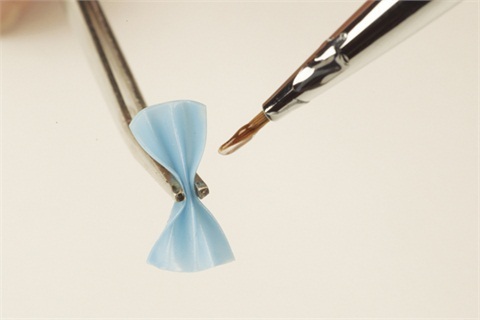 Here’s how you can make a flexible 3-D gel bow. 1. 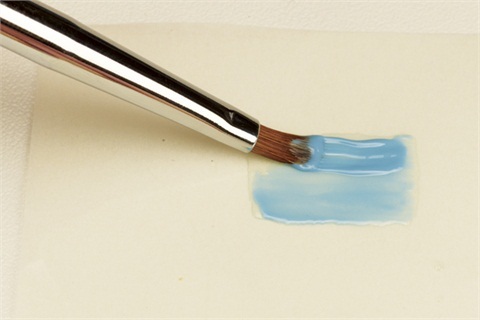 On wax paper, or paper from a nail form, apply a very thin, even layer of flexible clear gel (Bio Sculpture Clear Gel). Fan the bristles and paint in every direction to ensure a perfectly even layer of gel. Cure for 30 seconds under a UV light. Make sure your sheet is at least 1/2-in. by 1/2-in. 2. Apply two very thin layers of color gel in the same format, brushing strokes from every direction, and cure each layer for 30 seconds. 3. Apply a thin layer of flexible clear gel and cure for 30 seconds. Remove from the paper backing. Wipe both sides to remove the tacky layer. 4. Cut the sheet into a rectangle corresponding to the desired size of your bow. 5. Fold both edges along the long sides inward to meet in the middle. Use a metal spatula to help guide a perfect fold. 6. Once both sides are folded in, fold the sheet down the center in the opposite direction. 7. Use tweezers to pinch the center of the fold. Apply a drop of less flexible gel (Bio Sculpture S-Gel) in the center fold and cure for 30 seconds. A harder gel must be used to act as glue in order to keep the bow from unfolding. 8. 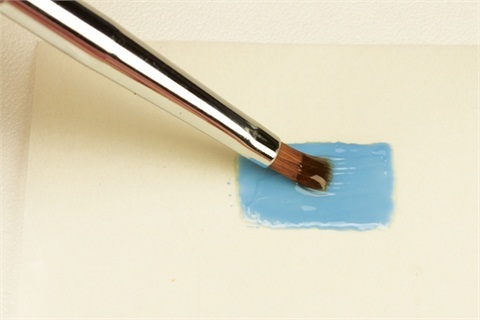 Keep pinching the center and apply a drop of less flexible gel in the back of the fold. Cure for 30 seconds. 9. Once you have the shape of the bow, lightly pinch the sides downwards to create a delicate puffy bow that contours to the nail. Cure for two minutes to keep all folds in place. 10. 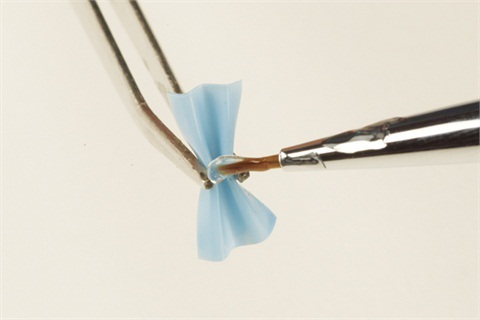 Flexible 3-D gel art is best adhered to a finished nail: Use a nail art brush to apply a small drop of less flexible gel (Bio Sculpture S-Gel) where the bow will be adhered. Place the bow and cure for two minutes. Add extra S-Gel over the center of the bow to secure the bottom and make sure it stays in place. Be creative and place gems or studs in the center of the bow.